Partly cloudy with rain showers and a cool breeze in the trees. A high of 75F. Chanterelles decorate the forest like jewels. 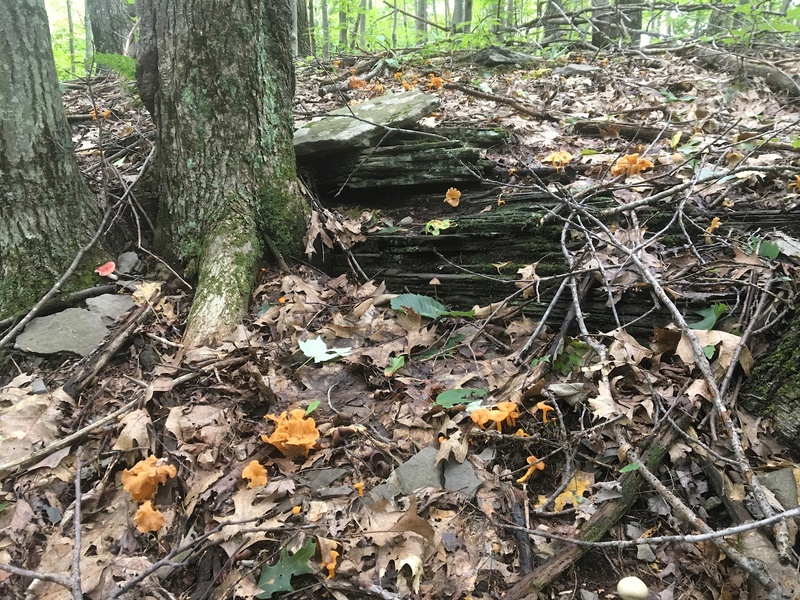 This entry was posted in Daily Catskills and tagged Catskills, Catskills Writer, Chanterelles, Mushroom Hunting, Upstate New York on August 20, 2018 by JNUrbanski.